The Internet has changed many things, including the how companies and interact with their customers. Before I divulge into my series on lead generation, it’s very important to understand how the Internet has changed customer behavior. Let’s take a look back at the customer before and after the Internet. Before: The relationship between a company and a customer started with a company inquiry. Companies reached out to consumers through mass, non-targeted sales pitches. These pitches included cold-calls, blast emails, and direct mail. This proved to be an ineffective way to contact and connect with potential customers. After: Through a variety of marketing channels (digital and physical), customers are the first to inquire about a relationship with a company. Before: Consumers have limited access to company product or service information. Often the only information available is the information given by companies. After: With the advent of the Internet, customers have access to a wealth of information. From online reviews to a company’s social media page, customers can now make extremely informed decisions prior to any purchasing. Before: Like I mentioned before, companies used a one-time blasts to target audiences. This tactic put all of the business power in sales, with marketing focusing on only the creative work. After: Today it’s about building and continuing a relationship with customers through delightful and amazing content. The power of business has shifted to marketing. Now more than ever, marketing and sales need to align in order to grow a sustainable relationship with a customer. Before: Data on marketing and sales efforts were gathered by third party organizations, like Nielsen. After: With the Internet comes the opportunity for businesses to track and quantify customer interactions, behavior, and transactions. Companies no longer need to go through a third party to gather customer data. Before: CEOs and marketing execs simply relied on intuition for all decision making. After: CEOs and marketing execs can now make informed decisions based on customer data gathered from their own analytics. So, with so much of a consumer behavioral change, it’s only right that our marketing and sales strategies change, too. Introducing lead generation: The process of capturing interest in a product or service for the sole purpose of creating an effective sales channel. 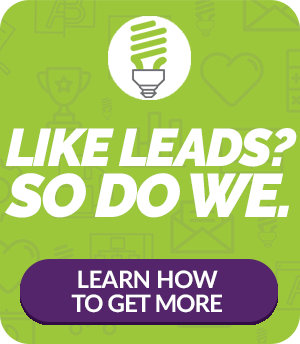 Stay tuned for future posts on how exactly lead generation works!